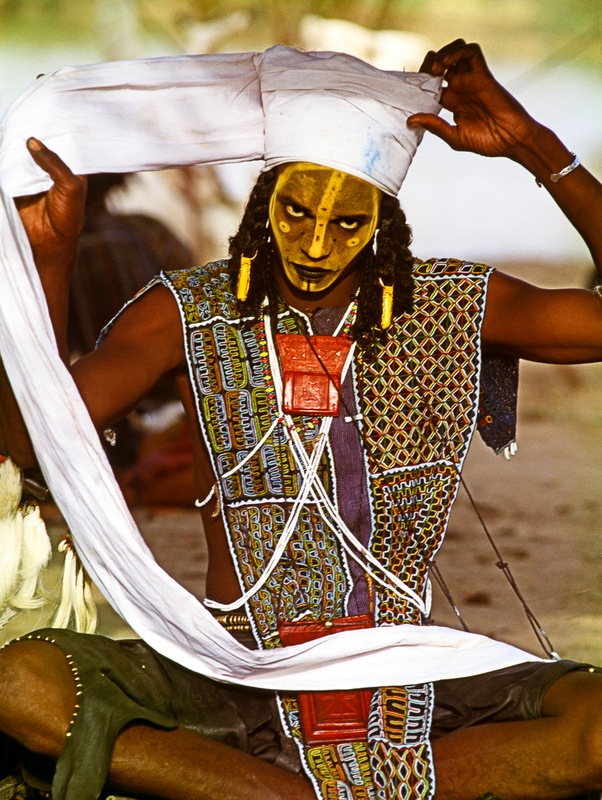 A Wodaabe man wraps a 12-foot-long turban in preparation for the Yaake dance, a competition of charm and personality. He applies pale yellow powder to lighten the face; borders of black kohl to highlight the whiteness of the teeth and eyes; and a painted line from forehead to chin to elongate the nose. These applications are believed to enhance his masculine beauty.